Since its inception in 1998, Warmun Art Centre has been one of remote Australia’s most significant cultural institutions. It is owned and governed by Gija people with 100% of income returning to the community. The Centre was established by the late founding members of the contemporary painting movement in Warmun such as Rover Thomas Queenie McKenzie, Madigan Thomas and Hector Jandany. These elders recognised and responded to the need for a community owned and controlled Centre through which they could support, maintain and promote Gija art, thought, language and culture. Today, a group of almost 60 established and emerging artists from Warmun carry on the artistic traditions, including Patrick Mung Mung, Mabel Juli, Rusty Peters, Shirley Purdie, Gordon Barney, Betty Carrington and Phyllis Thomas. The Art Centre has always had as a primary goal the conservation of culturally and socially significant objects and knowledge systems, and has fostered the production of art as a powerful means of cultural continuity, transmission and innovation. “Art Centres are only for Art, that’s what I’ve been told. But in Aboriginal way, you can’t separate language, dance, song, country, story and traditional knowledge from art. Everything connects, art cannot stand alone, that’s the thing we really have to fight for.” – Gabriel Nodea, chairman of Warmun Art Centre. A strong board of directors ensures stringent adherence to the relevant corporations legislation and principled Aboriginal-led governance. Outstanding leadership from its board members guarantees the organisation drives the priorities and agendas of Gija people and responds to community needs and strengths. In 2011, a devastating flood destroyed Warmun and much of the infrastructure at the Art Centre, including many of the objects held in Warmun’s nationally significant Community Collection. Since 2011, many years have been dedicated to rebuilding and strengthening the organisation. In addition to the well-established painting studio and gallery, Warmun Art Centre is embarking on an exciting new chapter, extending its cultural programming through the Warramany Media Lab and a ground-breaking intercultural, ‘two-way’ education partnership with the University of Melbourne, recognising Warmun elders as cultural leaders and educators above all. Gija artists continue to hold a place among the nation’s leading contemporary practitioners and institutions. 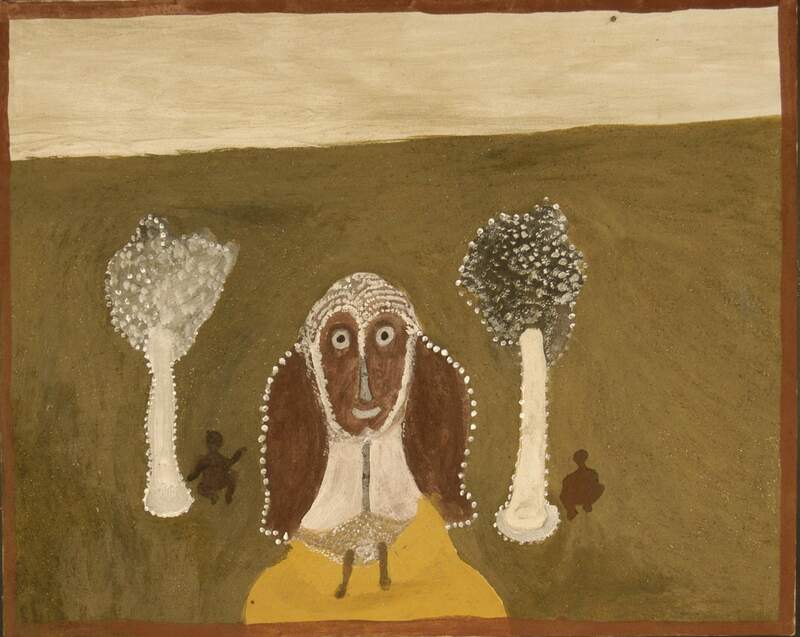 Their work is exhibited and held in important collections internationally and locally; such as the Art Gallery of Western Australia, Art Gallery of New South Wales, the National Gallery of Australia and National Gallery of Victoria and the Musée du Quai Branly in Paris.